Guinea will host the 2025 Africa Cup of Nations instead of the 2023 edition, according to the Confederation of African Football (Caf) president Ahmad Ahmed. Speaking on a visit to Guinea on Sunday, Ahmed was joined by Fifa president Gianni Infantino. Ahmad said Guinea’s President Alpha Condé had agreed to a delay in hosting the tournament. He also told reporters that it is a similar situation to Cameroon, who will stage the 2021 finals after being stripped of hosting the 2019 Nations Cup in November. 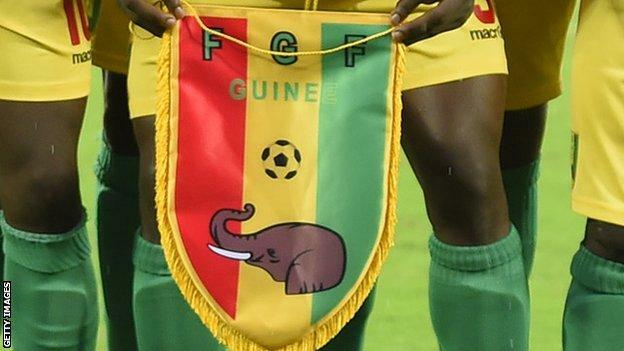 The Guinea Football Federation (Feguifoot) statement comes just a few days after its president Antonio Souare said they had not been “notified, neither by a letter or a decree” about the proposed delay in hosting. Speaking before Sunday’s visit by Ahmad, Souare also questioned whether African countries will be able to single-handedly host the expanded Nations Cup, which moved from 16 teams to 24 in 2017, in future.